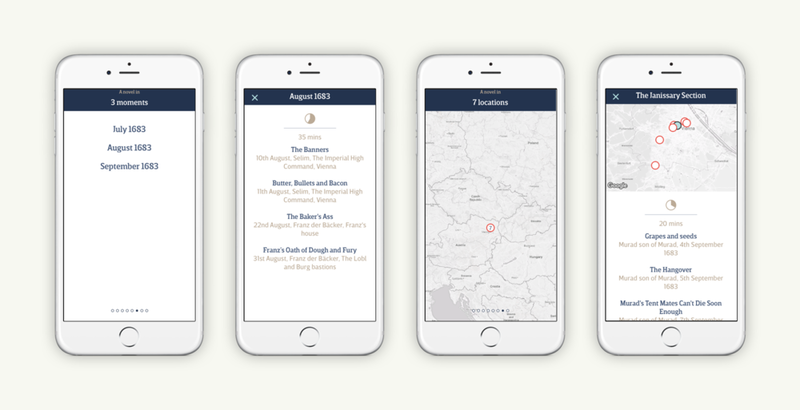 Bastion is a publishing platform you can read and provide books in incredibly readable slices on mobile devices. Most apps and e-readers are focused on one thing, trying to shove thousands of years of printed reading into a device as is. I don't think it should be this way. The novel is purported to be over 400 years old, but the way we read today is not. Yet, books and narrative worlds are still presented the same way. 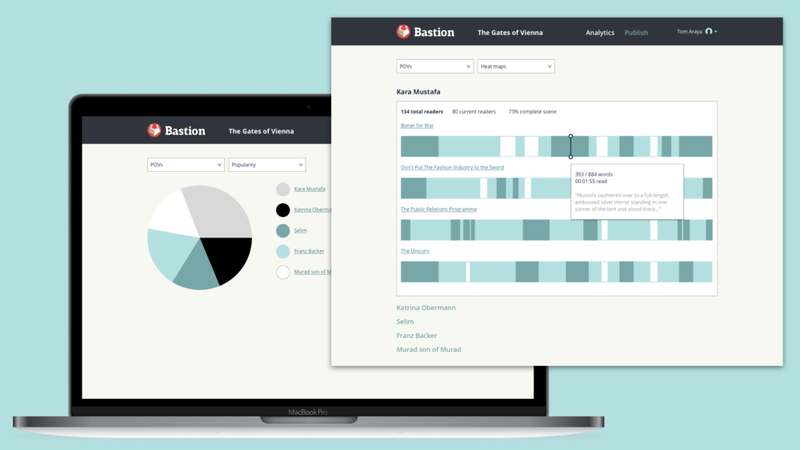 Bastion is a way where you can explore a story world, choosing how you read through lots of things happening all at the same time. You can read all the way through one point of view of whats going on, or maybe you just want to find out what happened in a particular place. Its up to you how to explore and read. ...or time, or location on a map. 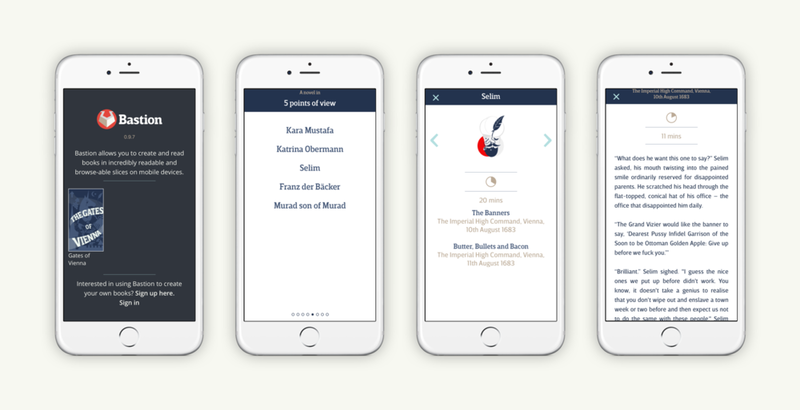 There is a content management system where authors and editors can work together to publish on the Bastion platform, creating successive versions of their books which they can keep on expanding and growing in points of view, times and locations. We've also been working on analytics for the platform, designing a way to see what works for readers and how, looking at how well read each scene, point of view, etc. are.